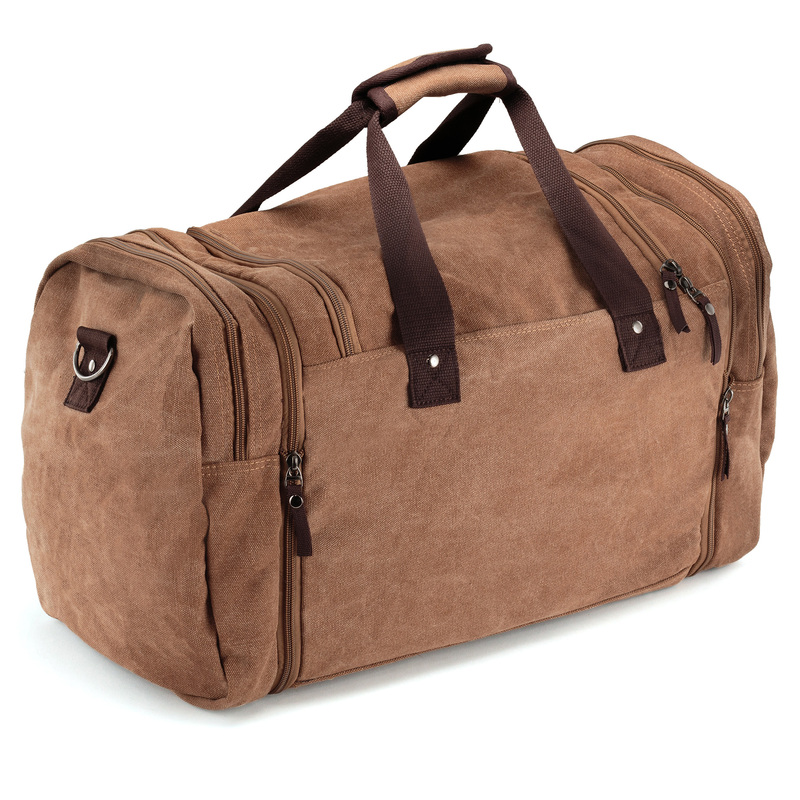 PLENTY OF STORAGE SPACE: You can carry everything you need thanks to the large storage space provided by our flight bags for pilots. 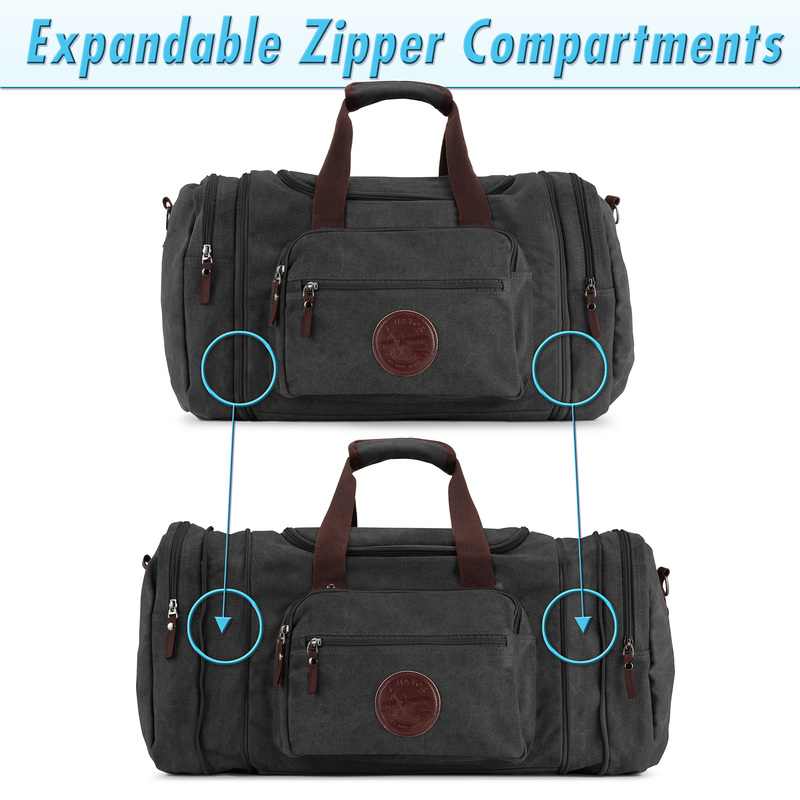 POCKETS and COMPARTMENTS include a document compartment, 2 POCKETS SIDE POCKETS, DUAL HEADSET POCKETS on each end of the bag and a hidden compartment for storing your valuables. 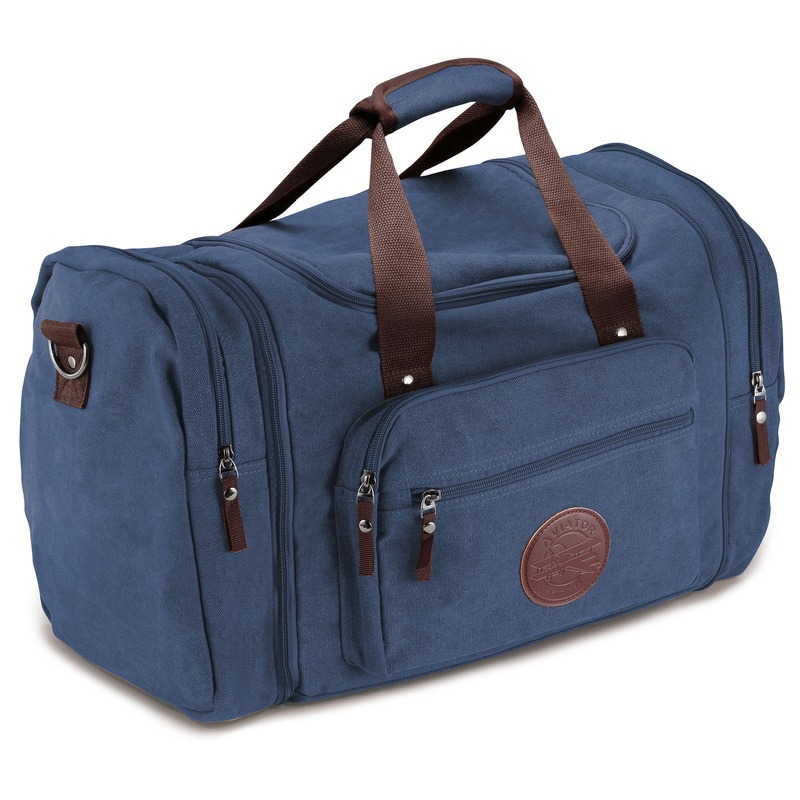 Its LARGE CAPACITY can comfortably fit a 14 inch laptop, an iPad, clothes, shoes or any other valuables and belongings you wish to travel with. 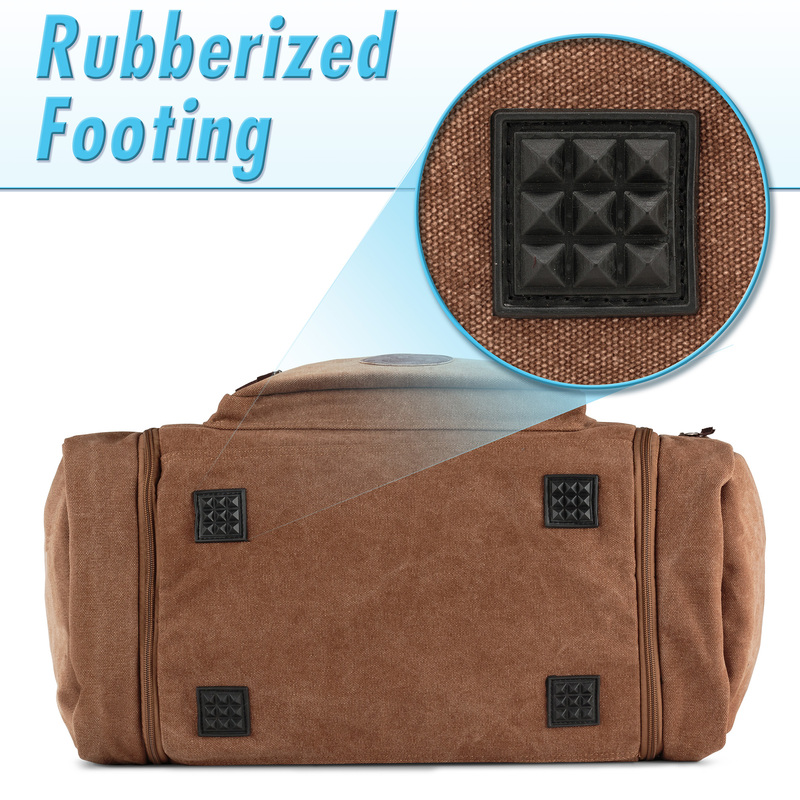 CARRY WITH COMFORT: With a padded REINFORCEMENT strap that evenly distributes the weight of the bag across your shoulder and a feet pad that prevents any form of abrasion from taking place, you are guaranteed of UNMATCHED COMFORT when carrying your deluxe flight bag everywhere you go. TRAVEL HOWEVER YOU LIKE: This multi-functional deluxe flight bag features a VERSATILE DESIGN that allows you to convert it from a comfortable duffel bag to a STYLISH TOTE BAG. You can sling it across your body or strap it across one shoulder using its DETACHABLE STRAP or simply carry it by its comfortably padded totes for more convenience. 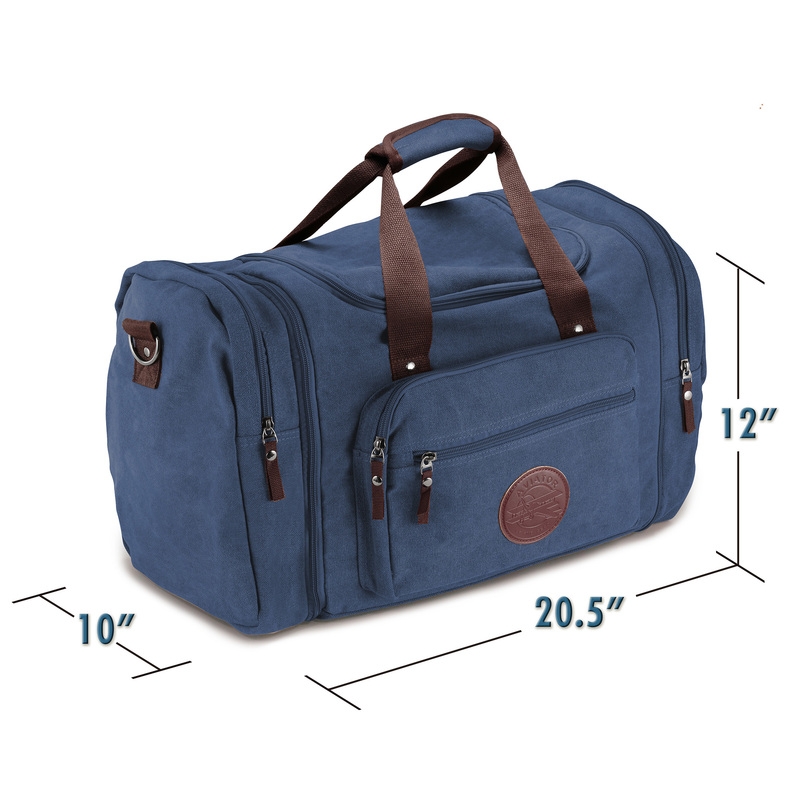 LONG LASTING DURABILITY: Made from premium quality, rugged light weight CANVAS FABRIC, this deluxe flight bag is a worthy companion to take on all your trips and adventures. Its TOUGH CONSTRUCTION is capable of taking on the worst handling and giving you years of service. 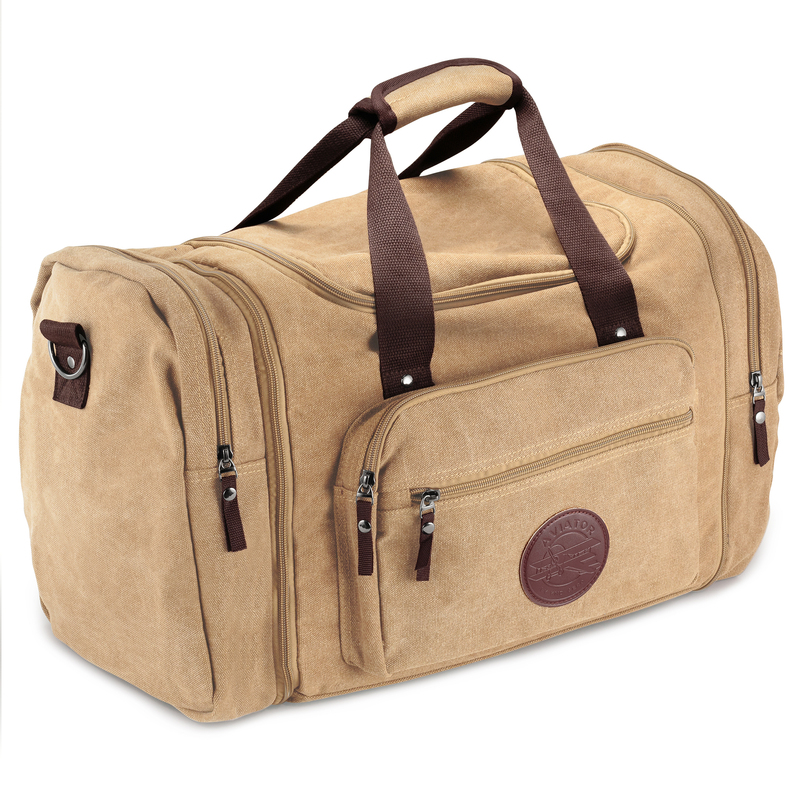 CHOOSE YOUR STYLE: You can opt for classic black, solid brown, navy blue or even khaki. 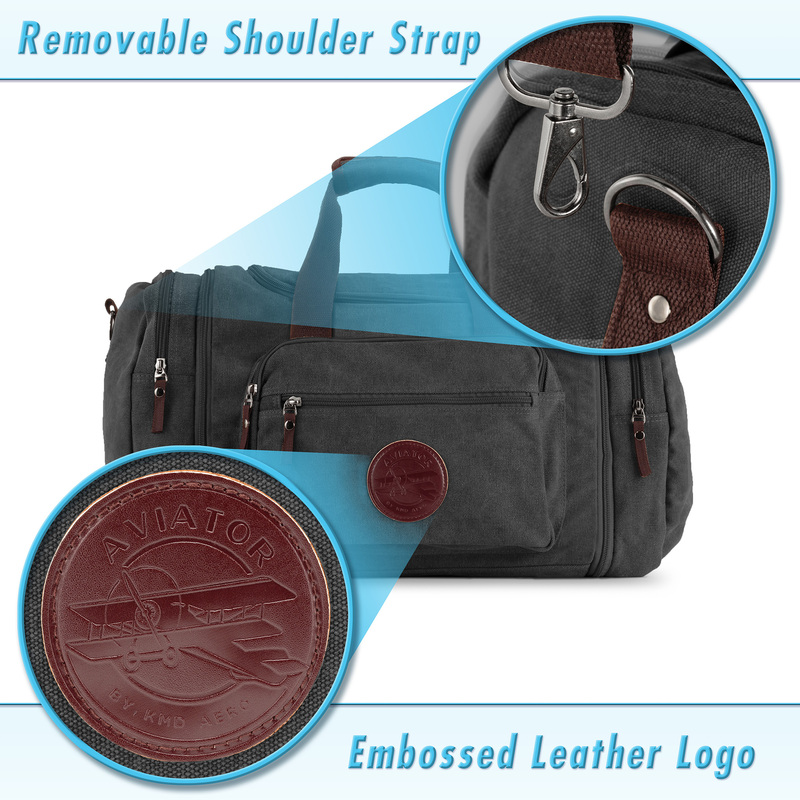 Our entire collection of stylish bags features an original embossed “AVIATOR BY KMD AERO” leather patch logo. 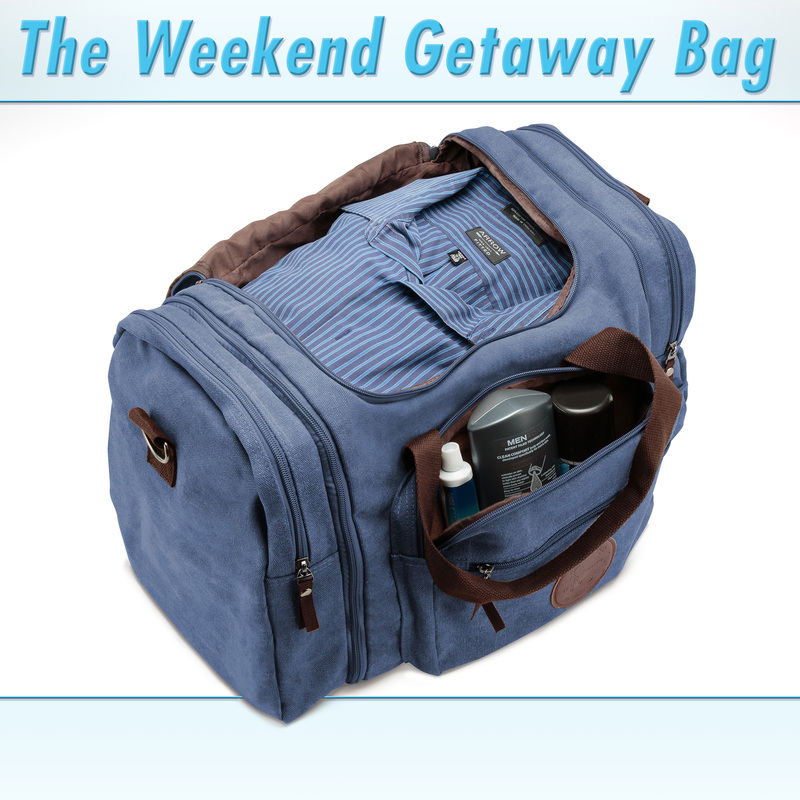 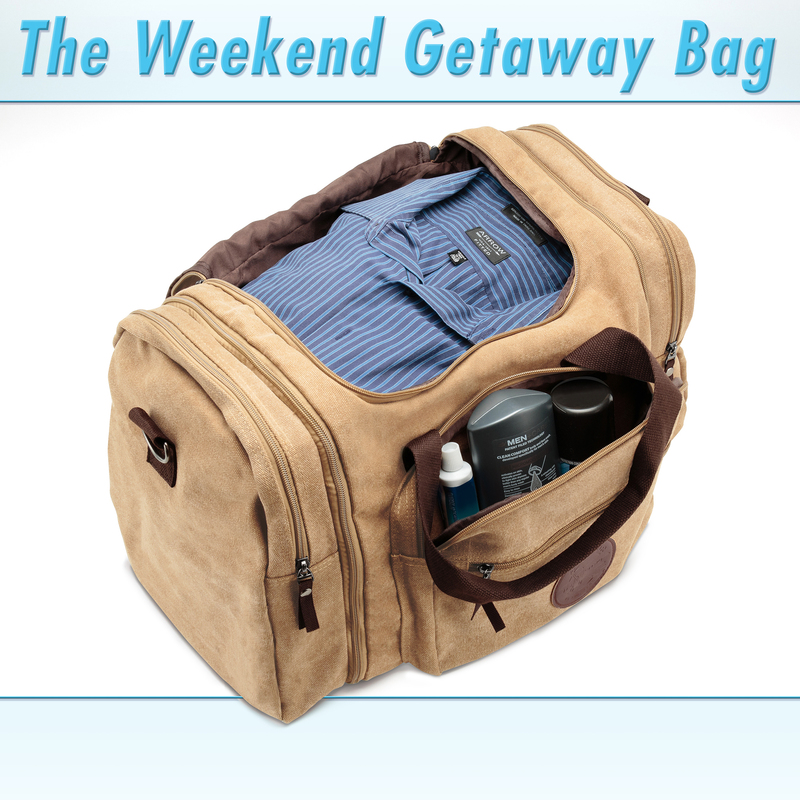 Enjoy a 100 % money back guarantee on all our deluxe flight bags. Travel in style and optimum convenience by clicking “Add to Cart” Now! Organize your luggage in a compact, effective way and have a great comfort while traveling with KMD AERO travel duffle bag. 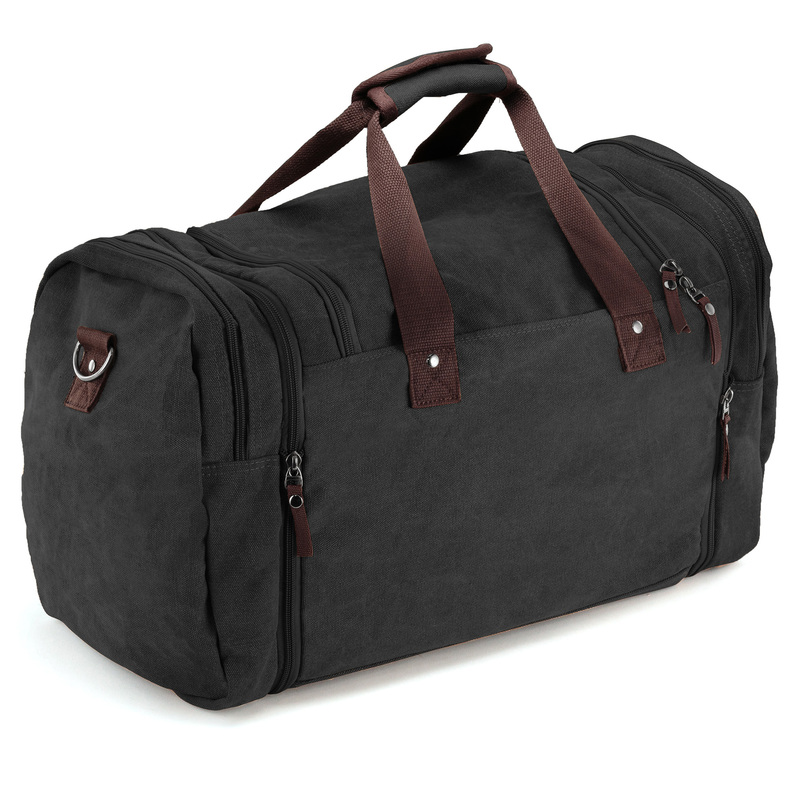 – Do you want a flight duffle bag that fits all your luggage in a perfectly organized and compact manner? – Are you concerned about comfort of your flight bag while traveling? – Do you want a great quality flight bag perfect for everyday use or sports use? 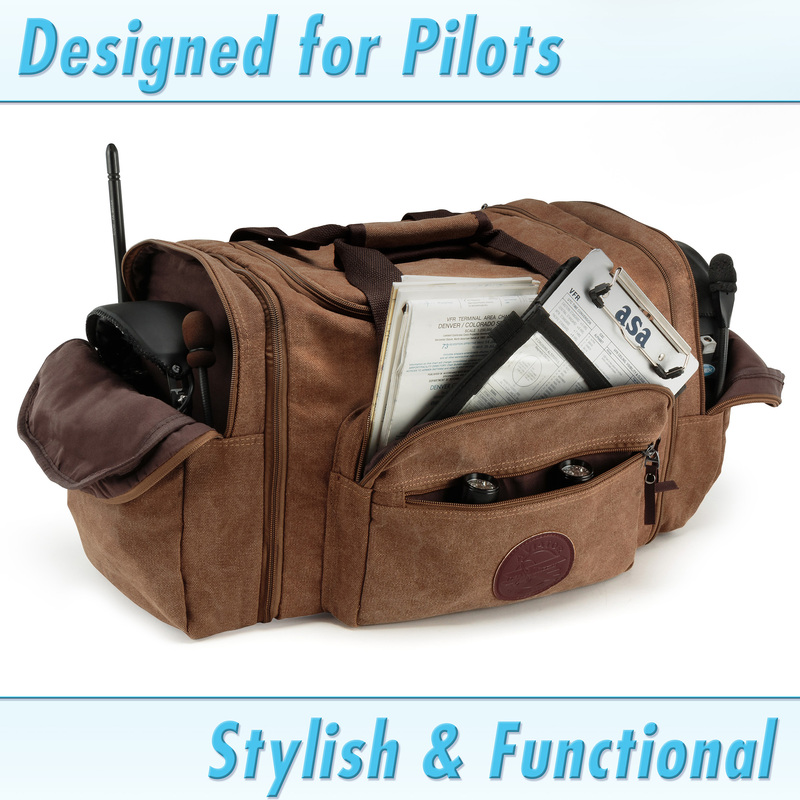 – Do you need a flight bag that passes all airline regulations with flying colors? We have taken care of every little details that you would want your flight bag to have. 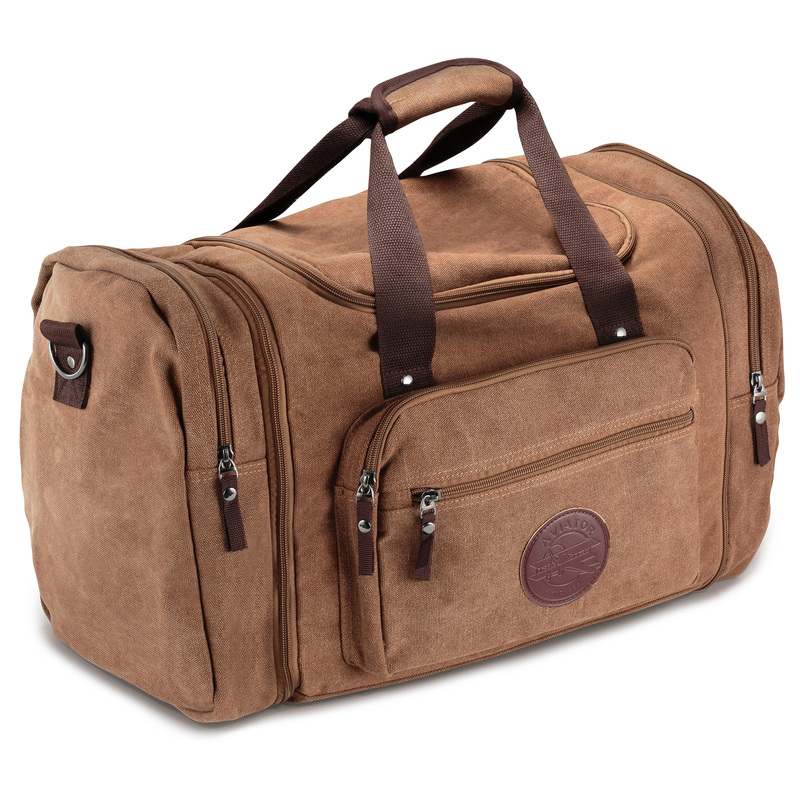 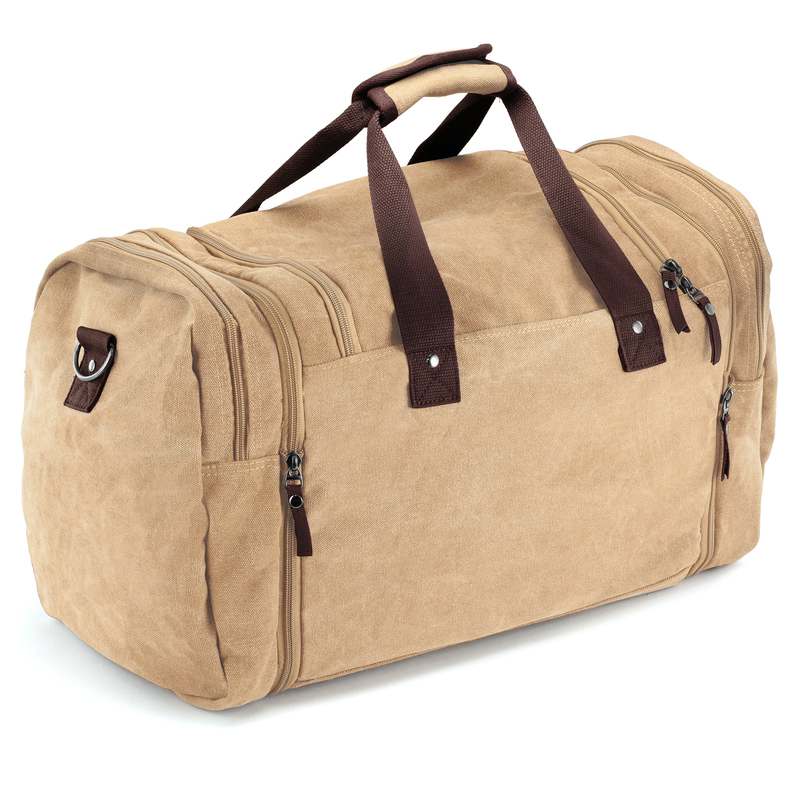 Our duffle bags are custom-made to provide solutions for all your travel problems. 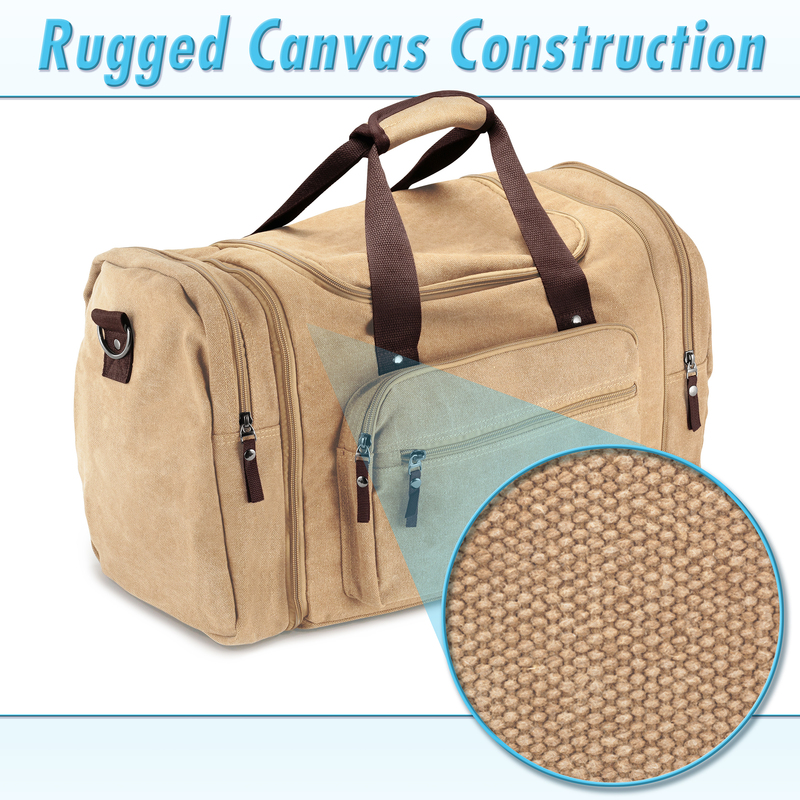 – Strong outer canvas is perfect for everyday use. – Lots of space so that you can stuff all your belongings. 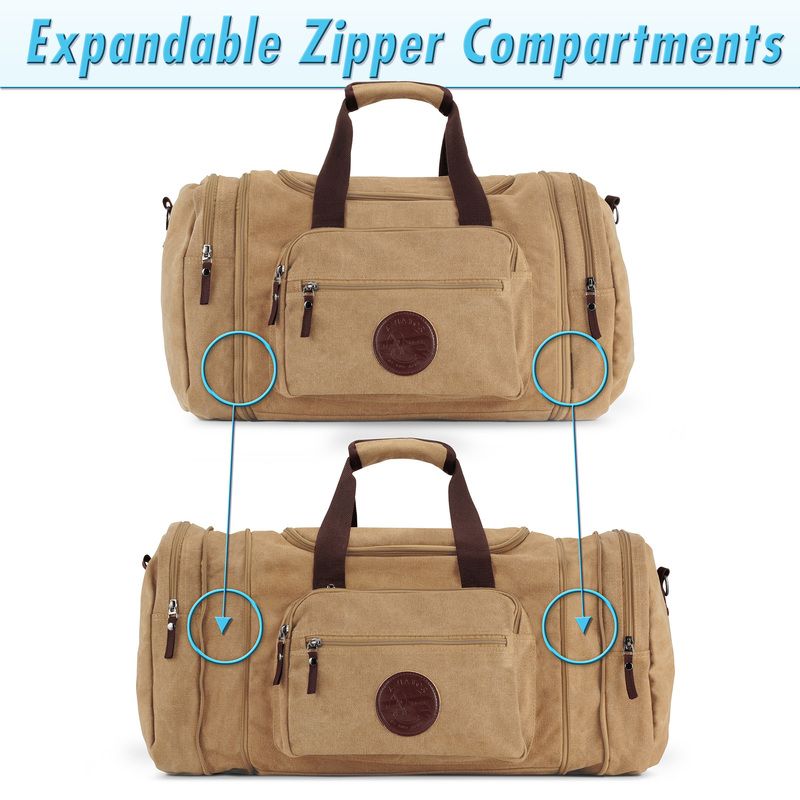 – Large sized zippers for easy and smooth operations. – Expandable zipper compartments on either ends for easy access and safekeeping of essentials. 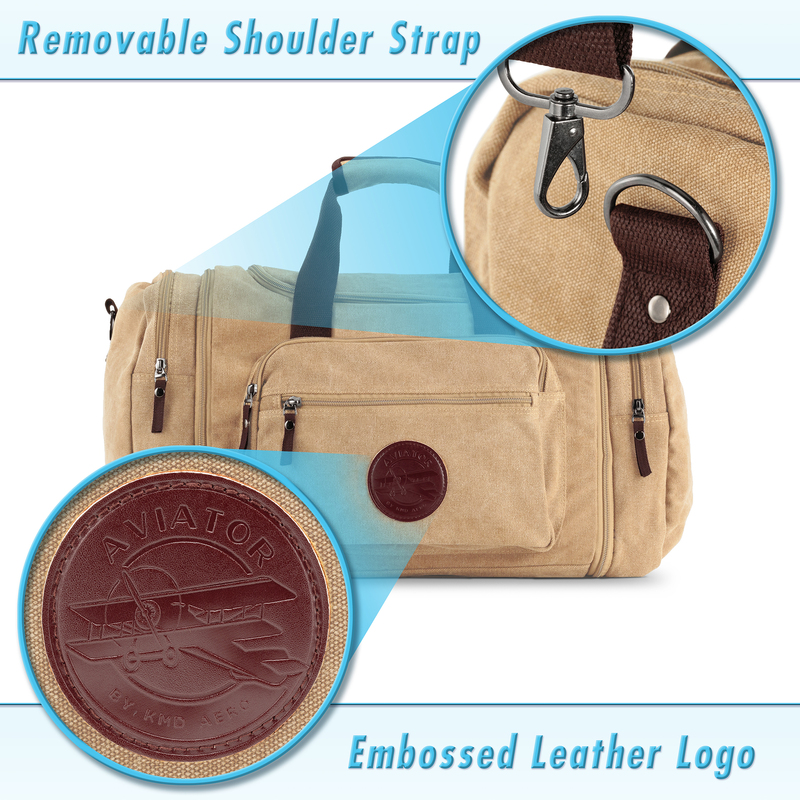 – The shoulder straps are detachable and also designed for comfort. 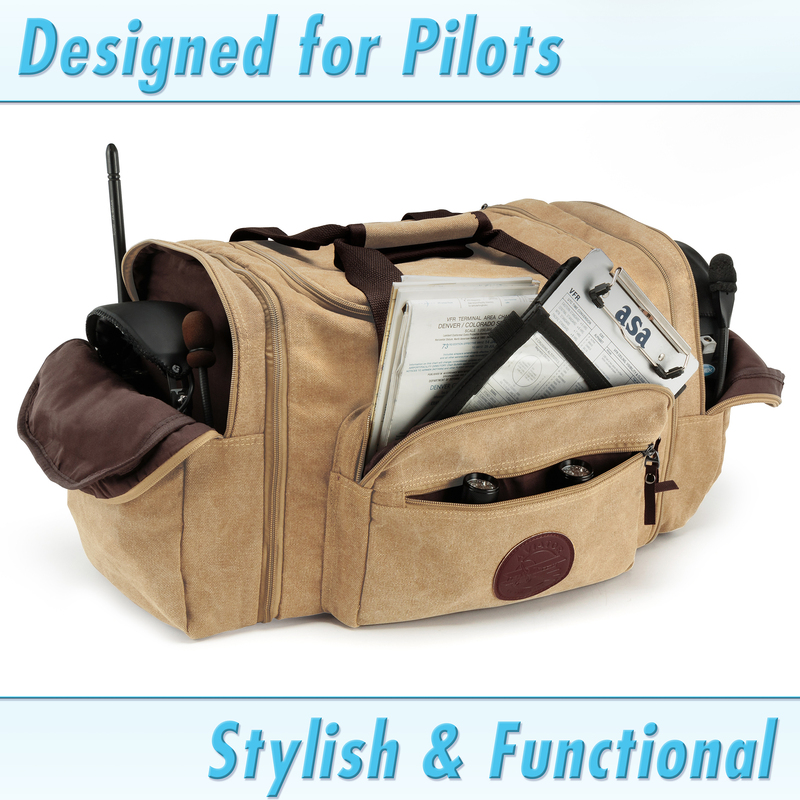 Get set for travel with premium quality pilot flight bags from KMD AERO. 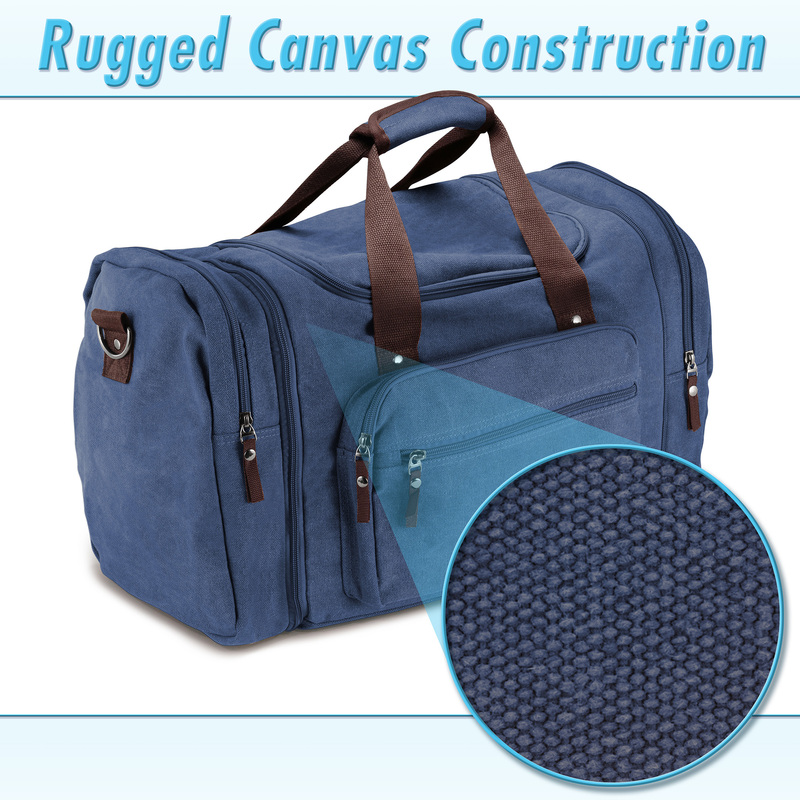 Click “Add to Cart” now and experience a total upgrade in your luggage carrying abilities.